What is the ATDC Entrepreneurs Program? Last week we announced the Advanced Technology Development Center (ATDC) is expanding our open membership program by launching the ATDC Entrepreneurs program. The ATDC Entrepreneurs program is designed to help entrepreneurs in Georgia launch and grow successful technology companies. Over the past few years ATDC has increasingly incorporated the ‘lean startup’ methodology in our education series and coaching. We use the business model canvas to encourage continuous innovation and ‘pivots’ based on marketplace feedback. Late last year the ATDC team set out to apply those same methodologies to our own business planning process. We are applying it to both our cornerstone ATDC Select incubator for high potential startups as well as our open membership program. As part of that process, we have listened to hundreds of entrepreneurs and ATDC stakeholders. And boy did we get an earful – lots of great ideas, critiques, and kudos! Based on your feedback, we are expanding our open membership program by launching the ATDC Entrepreneurs program. The ATDC Entrepreneurs program replaces our open membership program. While the previous open program served technology companies in Georgia – the new Entrepreneurs program is open to any individual technology entrepreneur in Georgia. Membership is just $25 a year. Over the past several years we have learned that the programs we originally designed to be delivered in a customized one-to-one manner with a limited number of ATDC Select companies don’t always scale for hundreds of startups. Expanding the ATDC Select incubator program takes a lot of resources (and many entrepreneurs don’t want or need the incubator program) so we are developing the Entrepreneurs program to deliver on our promise of opening up ATDC to serve more startups in Georgia. In addition, this will enable us to develop programming that can be shared outside our four walls with our partners and friends at other startup facilities and cities across the state. We also heard a common complaint that individual entrepreneurs were not able to access our programming. Since the startup process often starts well before a company is incorporated, we were excluding folks at a stage they would most benefit from many of our events and programs. To increase access for individuals and students, we changed membership from company to an individual based model and lowered the membership fee to $25 a year (a big savings from the over the prior $50 per quarter). Georgia Tech students, faculty, and staff can now join at no cost. Membership fees are not a significant part of how we pay the bills at ATDC, but we do need a registration process and small fee to know who our active customers are. As membership increases, some events and programs where food and drink will be served will have a small ($10) fee. We plan to seek sponsors to hopefully eliminate the food and drink charge for some programs in the future. If you are a current member, your most recent membership payment will cover the first two years. What’s the difference between ATDC Select and the ATDC Entrepreneur program? The Entrepreneurs program will have access to most of the same programs and events that ATDC Select companies can access and can book office hours with our Catalysts and EIRs at any time. ATDC Select, our flagship incubator program, remains unchanged. The primary difference is ATDC Select is a 2-3 year incubation program for high growth potential companies chosen by a variety of factors including market, team, technology, capacity, ability to meet graduation criteria in 3 years or less, and most importantly – whether ATDC Select will benefit the company. ATDC Select companies must also meet milestones towards graduation. Think of Select as a PhD program – it’s an advanced program where we surround the entrepreneurs with resources to help them succeed, but it’s largely a self-guided experience with milestones to graduation. Select companies are assigned a dedicated Entrepreneur-in-Residence, participate in programs and curriculum designed specifically for them (like the CEO Roundtable), and receive priority for space and some programs like Industry Connect. ATDC Select companies also receive priority for space in the incubator. As a result of our customer discovery efforts, we are launching new programs, growing our staff, and expanding our footprint on campus. The new Entrepreneurs program will benefit from the resources of the incubator and Georgia Tech, as well as see new curriculum and programming designed to better serve the broader startup community. We have also updated our website to make it easier to find the resources available to entrepreneurs and register for events. We recommend entrepreneurs new to the program attend an info session, held the second Tuesday of every month. We look forward to hearing your thoughts on how to make the Entrepreneurs program awesome and we’ll keep iterating to improve! Post the opening on ATDCs Jobs Board (http://www.jobs.net/jobs/ATDC/en-us/). Although we just recently launched it – we are working to make this a clearinghouse for opportunities with ATDC companies and steering candidates to this site. The Jobs Board is run by Career Builders so your posting also appears on other jobs boards at no cost. ATDC Companies that participated in the beta reported great results. Several times a year ATDC gets a booth at the various career fairs on campus. We collect resumes to provide to ATDC companies and rotate ATDC select companies in the booth throughout the day. Attend as many startup and technology industry events as you can and network. Don’t just talk to the CEOs – seek out the CTOs and technical folks. Great people usually know other great people – and likely know them well enough to know who might be interested. Be ready ‘pitch’ your company. Technical folks are in high demand so they can be choosy. Make it clear why what you are doing is exciting. Several ATDC CEOs have attended technology meet-ups (like the Ruby on Rails or Big Data meet-ups) even though they aren’t technical just to meet potential candidates. Think long term. If you are an ATDC Select Company contact Joy Hymel about the Georgia Tech co-op and internship program. Being located in Tech Square gives you a big advantage as students like the ability to maintain their campus life during their internship semesters (especially during football season). Hiring interns that you can bring on full time when they finish school is a great way to build a pipeline of talent. Several ATDC Select CEOs have reported they run recruiting drip campaigns – keeping in touch with students and experienced talent and keeping them up to date on how the company is doing. The most overlooked tactic is participating in hack-a-thons like Startup Weekend. These events are usually 2-3 days where ‘hustlers, hackers, and designers’ come together to come up with ideas for a startup and build a product or launch a startup. It’s like a game of pickup basketball for startup junkies. Yes – I know you already have a startup. But participating in these events you will meet programmers from other startups and established companies that are looking for entrepreneurial opportunities. For this to work, you have to roll up your sleeves and participate. If you just go through the motions you are unlikely to inspire anyone to want to join you. So get some extra sleep ahead of time and give up a weekend to expand your network and build lasting relationships with people who like to build stuff. 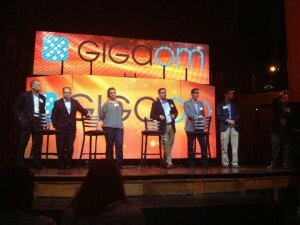 Tonight I had the opportunity to participate on a panel at the GigaOM Mobility Meetup here in Atlanta. Despite the torrential downpour and thunderstorms that snarled Atlanta traffic, it was standing room only. The event highlighted Atlanta as mobility hub and featured panelists from Atlanta’s global brands like AT&T, Coke, and WeatherChannel. My answer was connected devices, medical devices, and the ‘internet of things’. The sectors we already lead in provide an ecosystem and talent base in cloud technologies, big data, and mobility. Add Georgia Tech’s emerging strength in sensing technologies and you have a recipe for success. I mentioned a few ATDC companies as examples. Soneter has an innovative water meter that enables Nest-like monitoring of water usage – without having to cut pipe and install a meter. NextInput has developed a sensor that essentially enables a third dimension in touch screens which opens all kinds of possibilities in controls on the things we use everyday like appliances, automobiles, and mobile devices. One of the reasons Atlanta’s startup prowess is what Glenn Lurie of AT&T called “the best kept secret” is we are strong in enterprise and infrastructure sectors which doesn’t get the hype that consumer technology hubs get. I believe success in connected devices can change that. 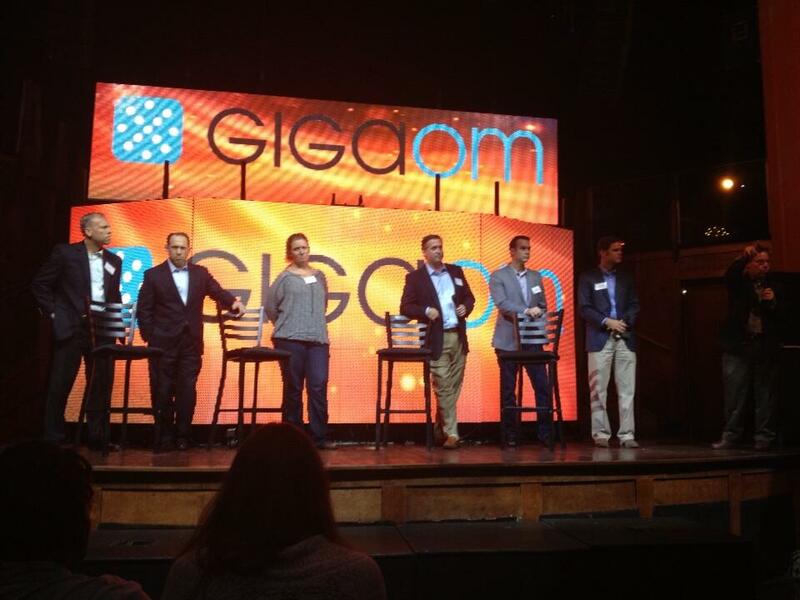 What other opportunities do you see for Atlanta’s startups around mobility? Peter Cohan posted a great article in Forbes titled With $201 Million Of Capital And $1 Billion In Sales, Wayfair’s IPO Can Wait. The article is about Wayfair and the CEOs decision to delay taking the company public (read it here). Wayfair is an ecommerce home goods retailer founded by Niraj Shah and Steve Conine. The company was founded in 2002 and is on track to hit $1 billion in sales soon. For those that know Niraj and Steve, their success comes as no surprise. Niraj and Steve started the company in 2002 with $27,000. They didn’t take any outside capital until 2011 when they raised $165 million to rebrand the company with the goal of becoming a household name. That gives them the luxury of not having investors anxious to cash out (yet) and the ability to think big. In the article, Niraj talks about Boston entrepreneurs exiting earlier than those in Silicon Valley. He says he wants to see Boston have more “10 billion plus” technology companies. Wayfair has the opportunity to build what the author calls a ‘pillar company’ – which he defines as a publicly-traded, local company that provides start-ups with talent, capital, and a willingness to try out their products. We’ve had our share of pillar companies here in Atlanta. Many of our leading entrepreneurs trace their roots to companies like MSA, Peachtree Accounting, Scientific Atlanta, ISS, Mindspring, Radiant, McKesson, iXL, and WebMD. Like Boston, Atlanta entrepreneurs tend to cash out before they scale. As we think about what it takes to make Atlanta one of the top startup hubs and the leading tech hub in the South – who will our next ‘pillar companies’ be?